Are you a student moving out of state or moving home? 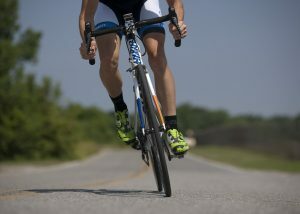 Are you preparing for a bike race or triathlon? Or a bicycling vacation? Bike shipping makes life easier. Rest assured, we?ll get it there safely, and on time even for international shipments. Bicycle Shipping is safe too. Pak Mail can ship your bicycle from Traverse City to its destination ? even Ironman events around the world! Even if your bike isn?t thousands of dollars, you?ve got it tuned for your ride comfort. We?ve received specialized training in packaging your bicycle for safe transit and use special packaging materials for just this task. Pak Mail has locations around the country for your return trip as well. shipping a bike is surprisingly affordable. Pricing varies based on distance and when it needs to arrive ? but rest assured, we?ll get it there safely, and on time. We are authorized shippers for UPS, FedEx, and USPS. Access to many carriers (including these) allows us to competitively price your bike delivery. Pak Mail Traverse City can even ship the entire team?s equipment with our contracted freight carriers.